Are you getting bored with the old way for cooking rice? 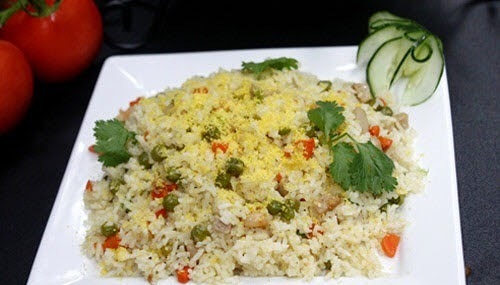 Today, from many amazing Vietnamese Food Recipes, I will introduce Fried Rice with Multi Color (Cơm Rang Đủ Sắc) for all you guys. 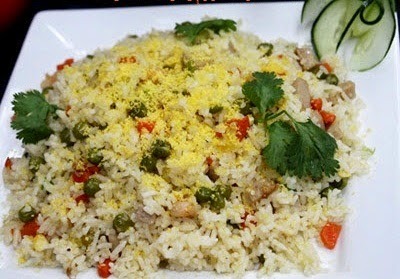 If you love eating rice, I think here is a good choice. Moreover, this dish is really eye-catching when we have many colors from many kinds of vegetables around it. It also can be a great dish to serve to your guests. So, are you ready to discover one of stunning Vietnamese Food Recipes with us? This dish is not only tasty, but also really eye-catching. Serving with fish sauce added chili is perfect for me. How about you? When you do want to cook, please follow my instruction carefully and let us start together right now. Step 1: Scoop boiled rice into bowl, wait to get cold and spread on tray. 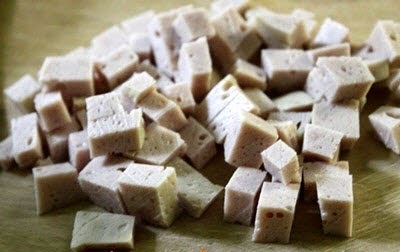 Step 2: Slice Vietnamese Ham into small cubes. Peel off the cover of carrot, clean and slice small cubes. Peel off the cover of garlic and mince well. 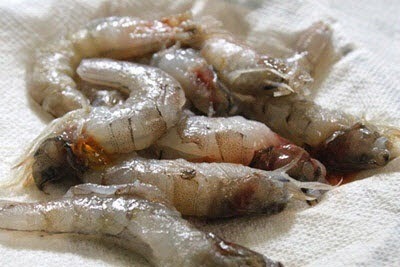 Step 3: Peel off the cover of shrimps, clean and pull out the black lines on their backs. Mince quickly. Clean green bean and wait to get dry. 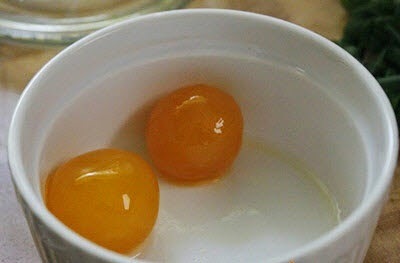 Step 4: Clean salty eggs, separate yolks and white parts into 2 different bowls. Do not use the white parts. Mix yolks with a little vegetable oil and a little white wine. Next, bring to steam until it is cooked. 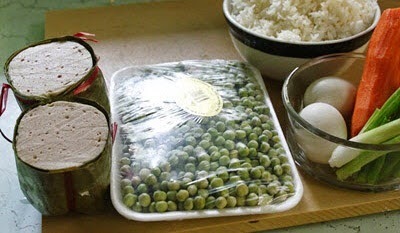 Here is the first step to create one of stunning Vietnamese Food Recipes for yourself. 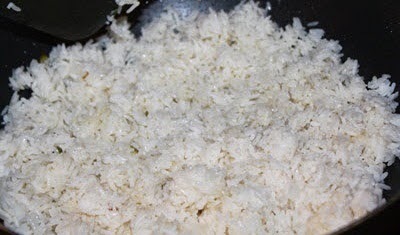 Grind well ½ this mixture egg and bring ½ left to fry with rice. Step 5: Heat the oil (2 – 3 teaspoons), add minced garlic and fry until it is fragrant. 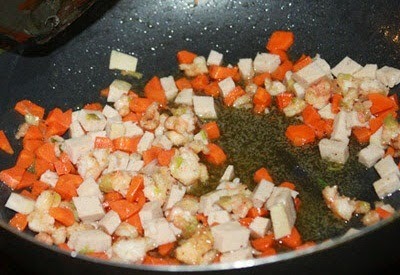 Next, add more shrimps and fry quickly in 3 – 4 minutes. 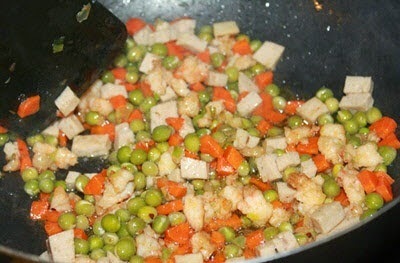 Then, pour green bean and sliced carrot into pan, fry well in 3 minutes. Step 6: Season with 1 teaspoon salt, ½ teaspoon Magi’s stuff and a little soya sauce. Next, add more sliced Vietnamese Ham and fry well. Fry until carrot and green bean are soft. Pour into clean bowl. Step 7: Use that pan again, heat the oil and fry minced garlic until it is fragrant again. 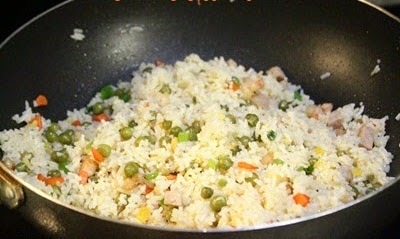 Add more rice and fry about 10 – 15 minutes. Next, pour ½ mixture egg in step 4 and fry with rice about 10 minutes. Step 8: After that, pour the mixture in step 6 into pan and fry with rice continue, season again with a little salt, pepper. Now, you just finished one of stunning Vietnamese Food Recipes for yourself and family. Scoop onto plate; add more sliced coriander, ½ mixture egg on face of dish. Serving with fish sauce is my favorite choice. How about you? Come and share your idea how to serve this dish with us. Have a good appetite and Good Luck for your Cooking.